Taking a proper topic and do went for only that topic is called as niche marketing.Niche marketing is always good thing for any kind of blogging whether it is fashuon,technoogy,blogging or anything else.These always gives us some fruitful result on the context of online marketing or you may say blogging. You can find out plenty of sites out in the web but they all are focusing on some particular niche blogging.That's why they get popularity and surviving on this web with proper respect.So it's also an important part while concentrating on any particular niche blogging.It gave some real fruitful result to that blog always. Focusing on a niche to the exclusion of everything else is a tremendous way to make money. Here are a few niche strategy advantages you can use. 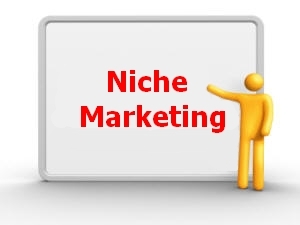 When we talk about a niche, we are merely focusing on a specific area of a service or product sector. A simple, but clear, example of a niche market would be Lasik eye surgery. It is a niche within the larger field of eye care and much larger field of medical services. The key to making money in your particular area is to focus on a specific niche that provides either a large volume of business or small volume with lucrative profit margins. One of the biggest niche strategy advantages is the ability to quickly become a dominant player in the area in question. By definition, there is almost always a limited pool of competitors in the market area, either for the area itself or the geographic limitation. Assume you are offering Lasik eye services. There are a limited number of medical professionals in your area offering the same thing. This means you have an outstanding opportunity to become the dominant personality. You can go get appearances on the local television and radio shows, publish articles in the paper and so on. News outlets are desperate for such quality content. On the web, the same concept applies with a slightly different orientation. You want to focus on your niche to the exclusion of everything else. This sounds simple, but can be difficult to implement. There is an incredible temptation to expand a site beyond the niche in question. The motivation, of course, is greed. We all tend to think that if we offer tour services to London, our clientele would obviously be interested in buying soccer shirts for the professional teams in London. Wrong. Define your niche and stick to it. Even if you sell a few shirts, you risk distracting your prospects from purchasing a tour. The web also provides unique niche strategy advantages found in no other business medium. One of the dominant ways to market any business is to write content for periodicals. I am talking about informative articles, not advertisements. If you wrote an article for the local paper and they included it in their Sunday edition, how would you be viewed? It would be a lot more effective than an advertisement and, over time, you would become a trusted source for most readers. Whenever they thought of your area of expertise, they would come to you or your business. Talk about a goldmine!On the web, you can take this example to the extreme. There are numerous sites known as article directories. These sites collect articles for an interesting audience. Websites, blogs and online newsletters need content all of the time. They use article directories to find the content. You should submit articles to the directories under the category applicable to your business. If you make the articles informative, you will quickly become a credible source and they will use your articles again and again. It is like being published in your local paper and a few hundred papers in other cities. Niche strategy advantages are plentiful. Take advantage of these two and you should see excellent results. 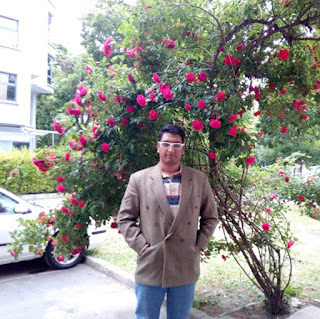 I think maintaining a niche is more effective though having a variety in the blogs can also keep the people coming back. I believed on Niche marketing for blogging 'cause it offers more when it comes to one subject matter. And, make another blogs for another subjects. Now this gave me an good insight about looking for a good product that have a niche market. Would you know the range of service fee charged by niche marketers for businesses these days? Niche market could be meant simply a services, a product, a fashion which could be promoted for income generating and it is nowadays used in blogging as a style of business. At first, I don't understand how important niche is.. not until I've got fully engaged in blogging. Niche marketing can really get you a lot of focus and consistent followers. There are advantages and disadvantages to maintaining niche blogs although the latter can be mainly addressed by exceptional content which would make readers come back for more. There are advantages and disadvantages to maintaining niche blogs but the latter can be largely addressed by exceptional content.